We are experts in water transfers at oilsands facilities, from any source to any location. We can also handle water storage, hydrostatic testing and other water management matters. Mines often encounter water issues. Controlling or removing water requires a high level of skill and specialized equipment. Mine dewatering presents some unique challenges in that water volume may be large, the safety of the mine itself is a significant consideration, and the water may not be fit to discharge to the environment. We install and operate layflat hose, HDPE pipe or aluminum pipe for water operations in the oilsands. Well testing takes on three forms: groundwater sampling, aquifer testing (pump testing), and injection testing. 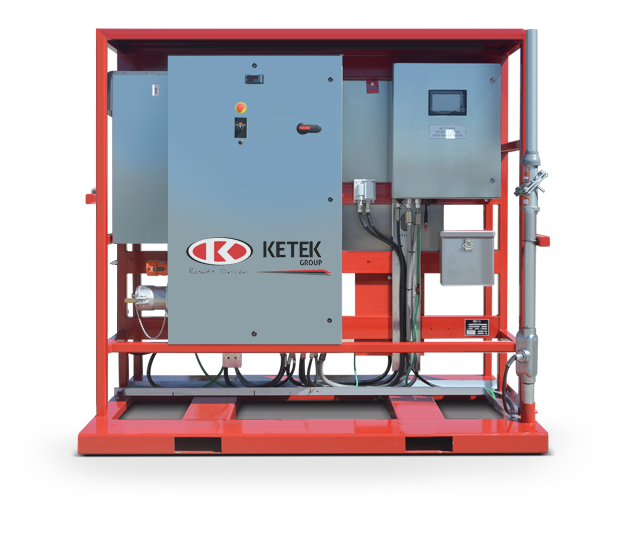 Ketek can provide you with options for all three. We can design and build permanent well designs and are experts at well testing, monitoring and servicing. We have the electrical engineers, electricians, instrumentation technicians and the facilities to design, fabricate, install and commission a wide variety of equipment. One of our proudest accomplishments is the design and fabrication of our Intelligent Pump Control Systems, which controls the flow rate and volume of water coming from a well, can treat H2S contaminate water and feed all its measurements straight to the client’s SCADA system.